Did you know that you may not require a council permit in Queens Park for dead tree removal? Or for emergency tree removal? Or for pruning up to 10% of the tree? 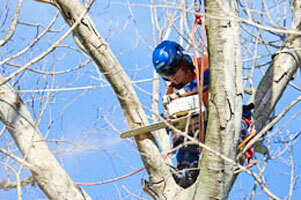 If you require fast tree removal service in the Queens Park area- Sydney Tree Removals can do it. We provide all of the Tree Removal with unparalleled service and professional tree services including tree removal at unbeatable prices. Our staff are happy to give you friendly and practical advice about how you can best manage your trees in Queens Park. We offer free quotes to help you budget your tree removal cost. Once a tree has been lopped or removed in Queens Park, there is still the issue with removing the tree stump. Our efficient stump grinding service is the easy way to remove the rest of the felled tree to allow you to plant, concrete, pave, or tile over the removed tree site.